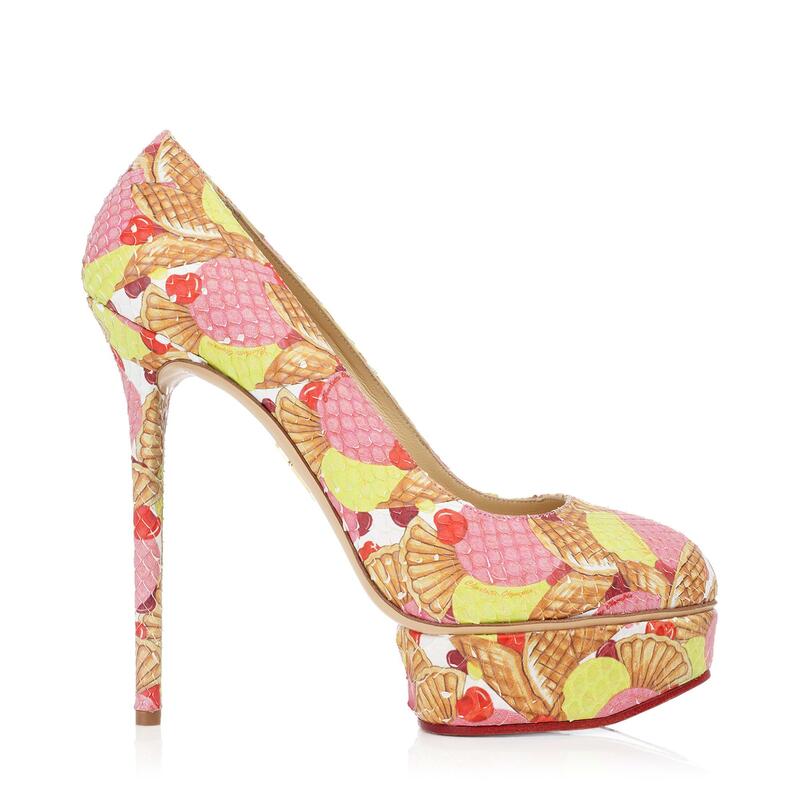 Sundaes have inspired several pieces, including this « Josephine » platform, in a « sundae » print python, in Charlotte Olympia’s « Archie’s Girls » capsule collection, launched in November 2013, which was a tribute to the Archie’s Girls from the Archie Comics®. 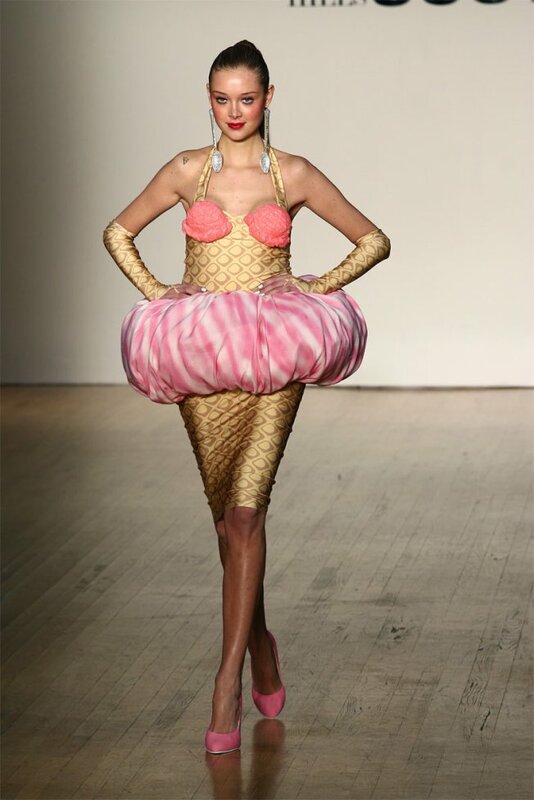 Ice cream cones inspired dresses in the Jeremy Scott Autumn/Winter 2006-2007 Collection, named « Eat the Rich ». 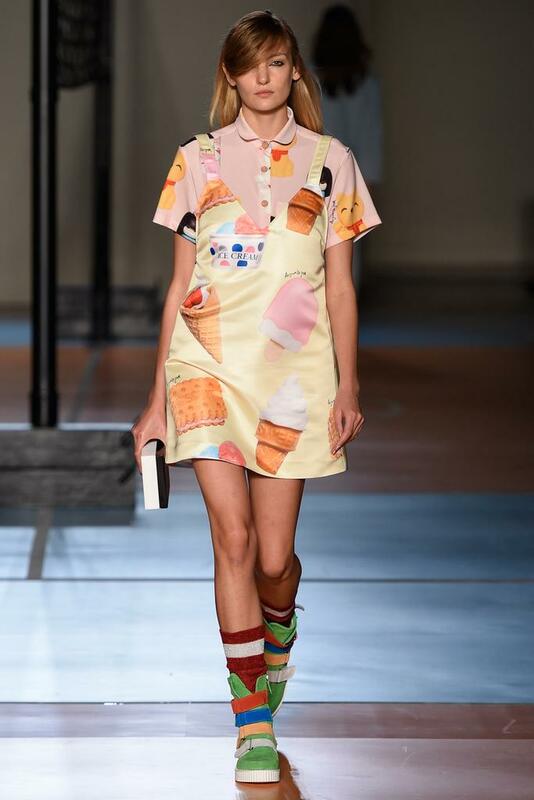 Another collection with ice cream cones : Jacquemus Spring/Summer 2014 (in this show, Simon Porte Jacquemus told the story of a girl who goes to the seaside town of La Grande Motte, in the South of France, and who eats ice cream cones, which were printed on the T-shirts of the looks #16 and #22). 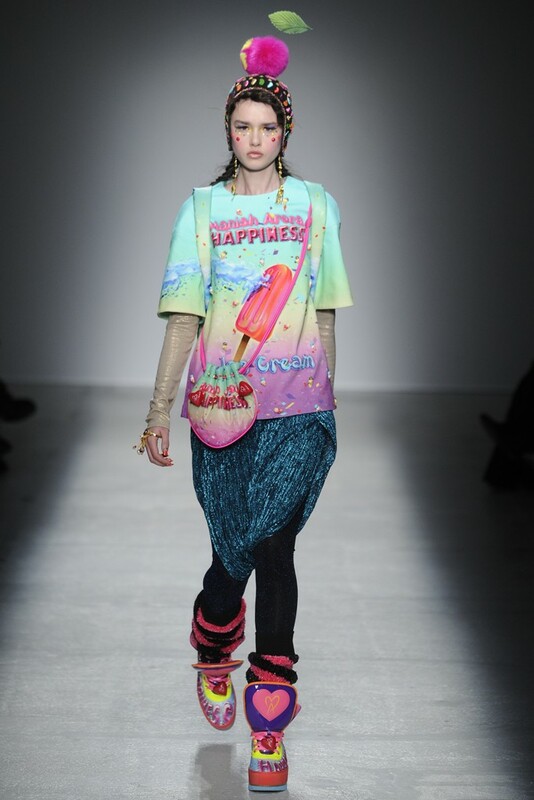 To read about other items inspired by ice cream or ice cream cones, search for the « Ice cream » post that I published on November 19, 2012.